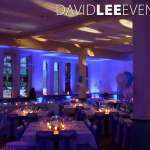 I have installed the Uplighting here at Cheadle Hulme School on a couple of occasions. 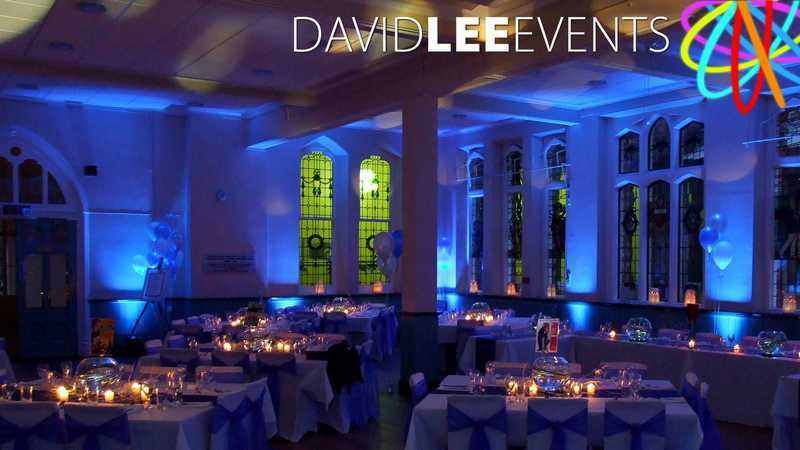 The 1st time was at the evening reception of the 1st ever wedding reception to be held here at at this school. 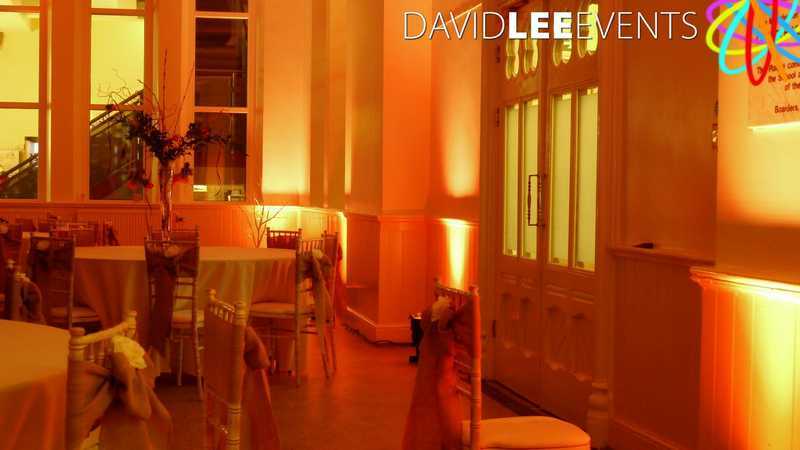 This was a civil partnership, where we installed the changing uplighting. 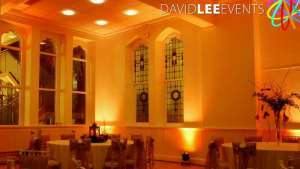 The 2nd time (the orange uplighting ) was the schools 1st ever wedding ceremony & evening reception in their lovely grounds. 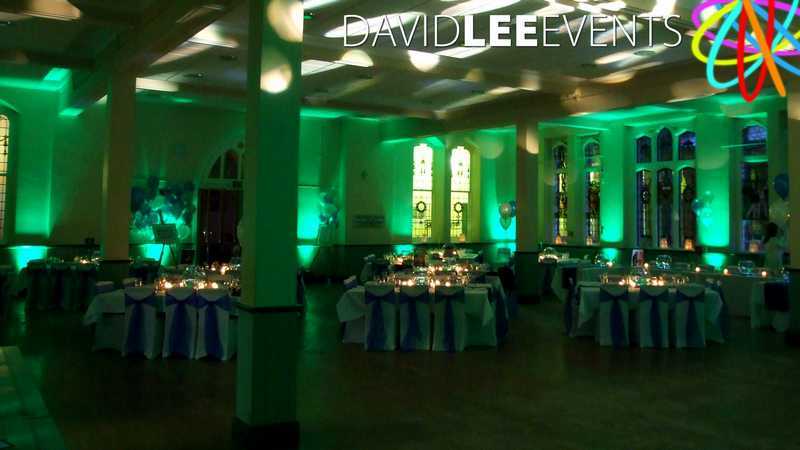 As you can see from the different colours of uplighting used at this Cheadle School I can tailor the colour to your theme, so do be shy in asking if I can do your colour. 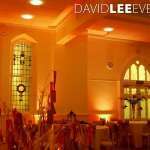 As they now have a full wedding licence you can get married in the grounds in 1 of 2 different rooms. 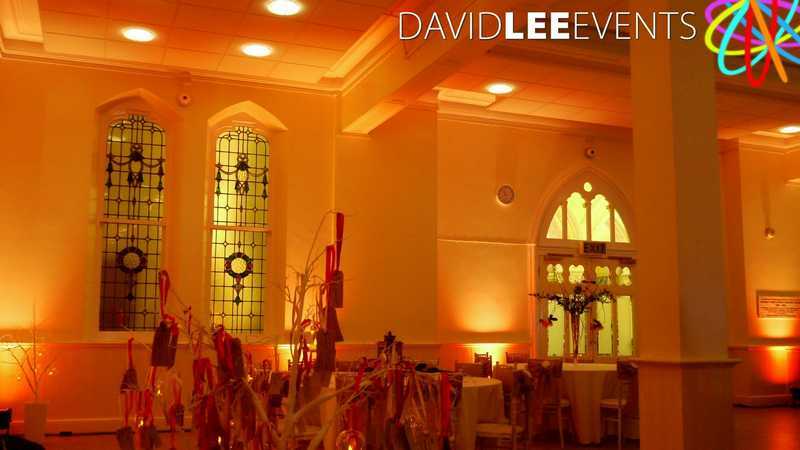 The wedding breakfast is then held in the main hall. 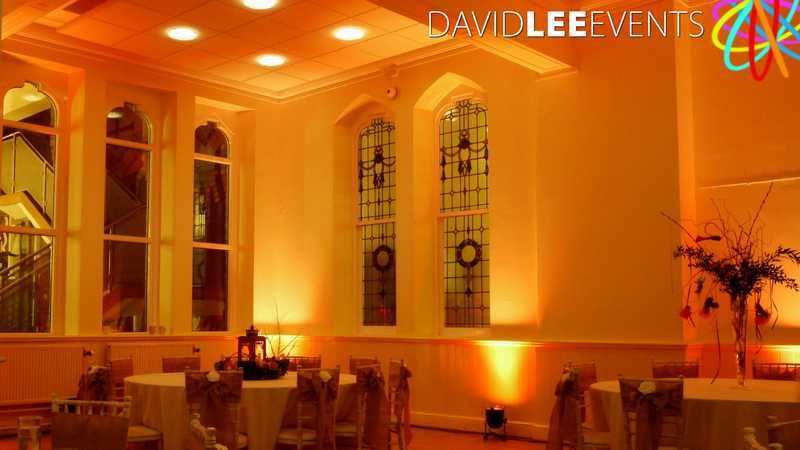 You can have the uplighting in the ceremony rooms and main hall or just your rooms of choice. 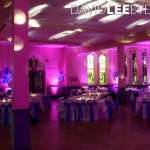 So if you are looking for something different to give your wedding venue that WOW effect, then give my uplighting options a consideration. I do travel all over Manchester and Cheshire so not confined to Cheadle Hulme. 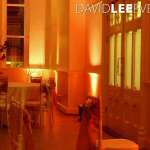 I also supply more than just uplighting so hae a look around the website for more ideas on how we can your room absolutely fantastic. 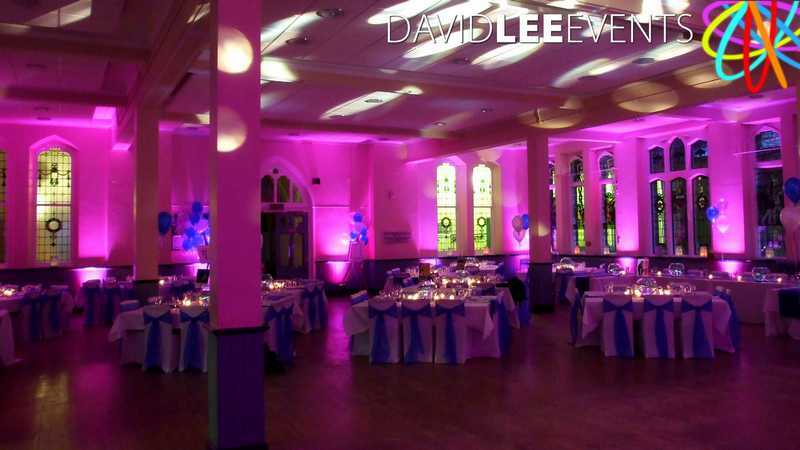 Below I have added some picture of different colours I have used at Cheadle Hulme School, but please be aware I am not restricted to these colours. 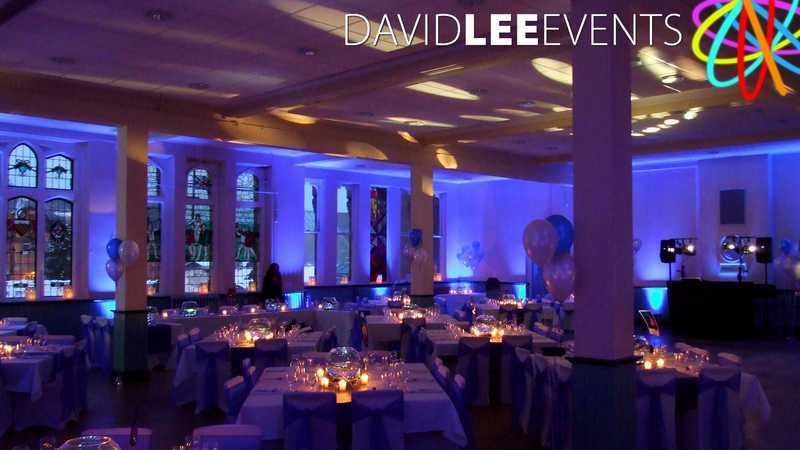 So if you have any further questions about Uplighting at Cheadle Hulme School or anywhere else in Cheshire, please get in touch via the contact form, or give me a call or email. I look forward to hearing from you. 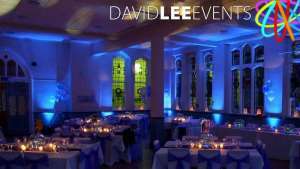 I have been told on 25th Jan ’16 that Cheadle Hulme School no longer provides weddings. 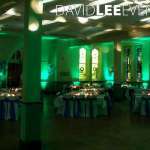 I have still left this page up so you can see what I can do in this kind of venue, but alas no more at this school.